It’s hard to believe I am now more than half way through my placement year and have been at Hive for just over 6 months! Time has flown by and I have found myself involved in so many exciting projects — 13 to be exact! In that time I have also visited 7 different client locations across the UK, including London, Leicester and Milton Keynes. Thanks to Sooze for my portfolio of new head shots! What’s it like working for Hive? I have now completely settled into the working life and I am really enjoying the daily routine, something I hope to continue with when I return to uni in September! The environment at Hive creates an extremely easy and pleasant place to work and being surrounded by talented, motivated and enthusiastic people encourages me to always work hard. One thing Hive are very good at is championing everyone’s success, whether you’ve helped write a proposal, designed a new website or built a new piece of software, everyone’s efforts are always celebrated. Communication is another key strength of Hive’s that has created a good working relationship within the team (and clients) which I can see helps improve individual’s morale and efficiency within the workplace. With the office being very open, this promotes collaboration and communication between the team. Everyone is extremely welcoming and approachable and I feel that I have made some very strong relationships with members of the team. What do you enjoy about working at Hive? The thing I enjoy the most about being at Hive is that although everyone has a role and responsibility, any individual is more than happy to help out in anyway, whether it’s helping to get a proposal sent out on time, proofreading finished documentation or simply managing the phone whilst Amy is out of the office - I really do feel the love and dedication of the team throughout the office. 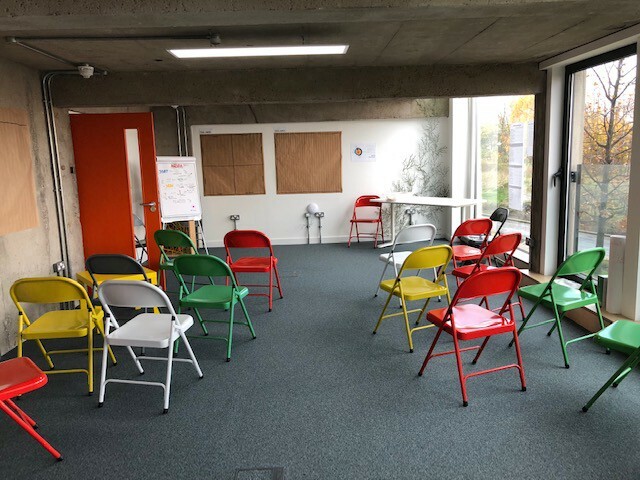 Not only have I gained valuable Project Management experience but also I have been a part of User Research activities including workshops involving Card Sorting, Defining Users, Creating Personas and Mapping User Journeys. These workshops have been extremely interesting to be involved in as I never realised how much thought really goes into the design of digital products. I really enjoyed being a part of User Testing sessions seeing how our User Researcher carefully questions users and observes how they use current services to extract useful information that can help inform amendments required to the original product. I have felt incredibly supported throughout my 6 months here, I am very comfortable in voicing any problems I may be feeling and know that someone is always there to help me out. My quarterly reviews with Liz have been very useful, providing me the opportunity to reflect with her on my last 6 months, where my achievements are acknowledged and further goals are set. I value feedback as this allows me to improve and develop my skills whilst on placement which will be of great use when returning to university and for my future career. Liz always ends the review asking if I have any suggestions on how I feel we can improve the company as a whole. Being treated as another employee rather than just as a student on their placement year makes me feel truly valued and that I have voice which the team are keen to listen to. 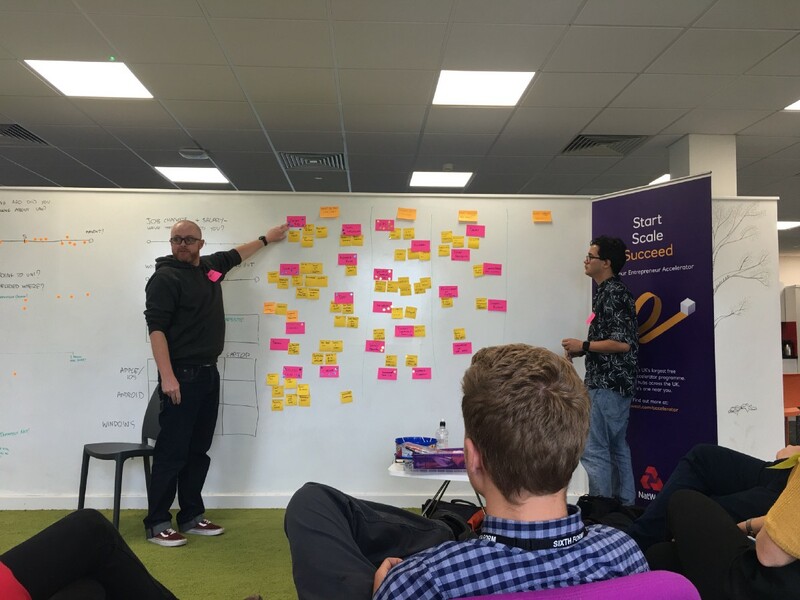 Show and Tell is another event I look forward to each month, I have organised the last few and encouraged and motivated my team mates to talk about a project or something they are extremely passionate about to share with the rest of us. As everyone is busy working on different projects, having the opportunity to get together once a month allows everyone to get up-to-date with everything that’s going on in the office. I have also really enjoyed spending time outside of work with the team, getting to know individuals more and having non-related work discussions. Going out for food on a Friday ends the week nicely allowing everyone to slowly start relaxing into the weekend mode! 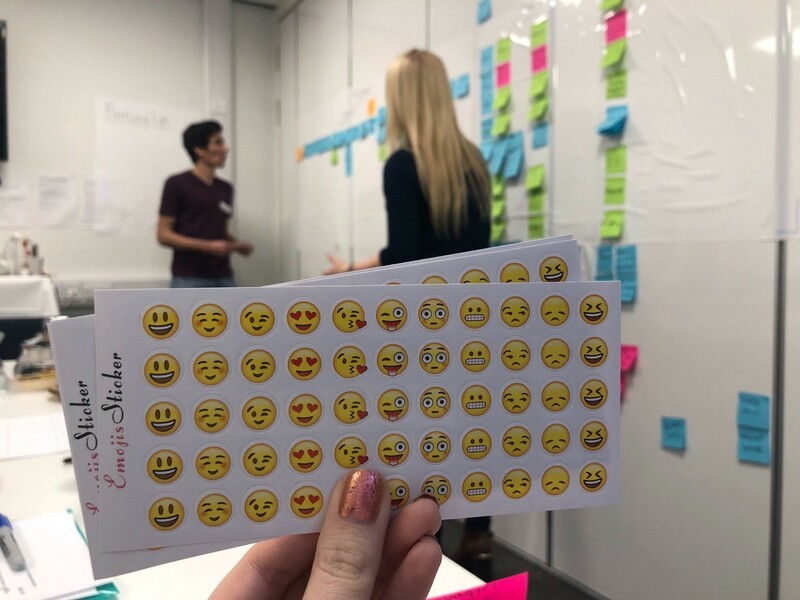 It’s always exciting when the emoji stickers are used in workshops! What do you feel you have achieved and learned? I feel like I have achieved a great deal since working at Hive, I have now experienced seeing projects right from the initiation stages to close. Hive’s projects generally follow an agile framework, an approach based on delivering requirements iteratively and incrementally throughout the project life cycle. Agile fosters central values and behaviours of trust, flexibility, empowerment and collaborations. This method of project management was only touched on at university so it has been extremely useful to gain real life experience of how this process is used within projects. Helping with project proposals, my written communication skills have been challenged, ensuring that information in the document is clear, precise and to the point for the client to understand. Sitting down with the team and putting together an estimate has provided me with a greater understanding of how much services cost and the actual time it takes to complete tasks, two areas which are only theoretical at university. Involving the whole team at this stage ensures that everyone is aware from the start what the project involves so they have a detailed understanding of what is expected from them. I have realised the importance of the initial kick-off meeting with a client. Defining ways of working, setting expectations, deadlines and defining next steps are all important areas that must be communicated to the client to ensure a successful collaborative project. Planning the project is also another critical aspect of my role, especially when team members are working on more than one project. 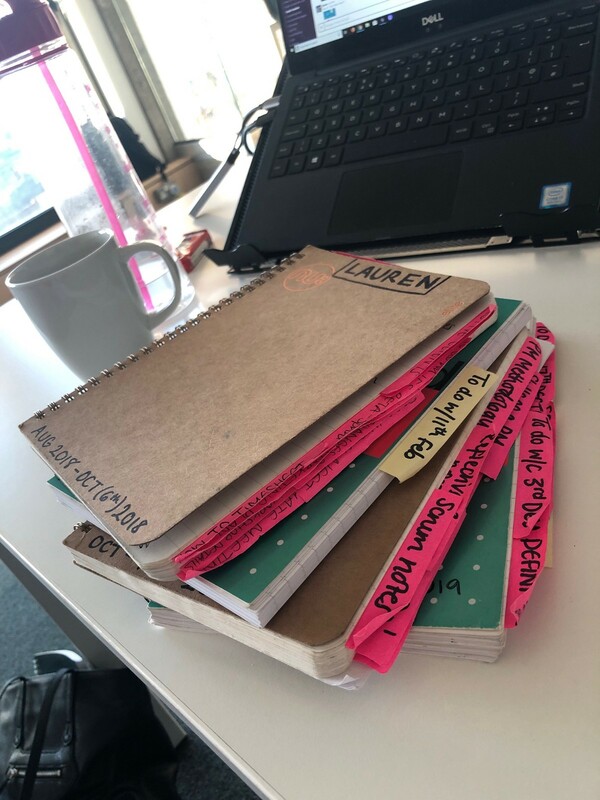 Prioritising tasks and creating a weekly schedule for team members does not only help them visualise the work they have to do but also helps me to keep track of progress and communicate this back to the client. Using a progress tracking tool allows for visibility within the team and the client. Trello and Jira are both web-based project management applications used to keep track of on going tasks for individual projects. Ensuring these applications are kept up to date helps inform whether or not we are on track with work and if there is anything that needs to be followed up with the team so that I can keep the client in the loop. Project Managing involves making hundreds of notes, resulting in filling four notebooks in the last six months! Emailing clients is something I am required to do daily. This has allowed me to perfect my written communication skills. Ensuring the tone of the message is to a professional standard and that the message is clear and brief, enables clarity and understanding from the client. When information has been too detailed to communicate through email, I have phoned the client so that it could be discussed verbally. Monitoring the time and budget of the project has been challenging as this has been a new skill I have developed whilst being a Hive. Ensuring that the team timesheets daily allows me to work out how much budget we have spent and calculate how much time the team has left on a particular project. It’s up to the project manager to identify if there is the potential to exceed a budget and explore ways with the team of how this can be rectified or minimise the risk of going over budget. Constant communication with the team is another important part of my role as a Junior PM. This is a key skill to have when working with others as it helps promote a good working relationship amongst the team. Effective communication within the team has helped members to understand both their roles and the roles of others whilst on projects as well gaining a detailed understanding of what needs to be done. As I reflect and think about the last six months, I have developed and gained both existing and new skills without really realising so at the time, highlighting the importance of self evaluation. 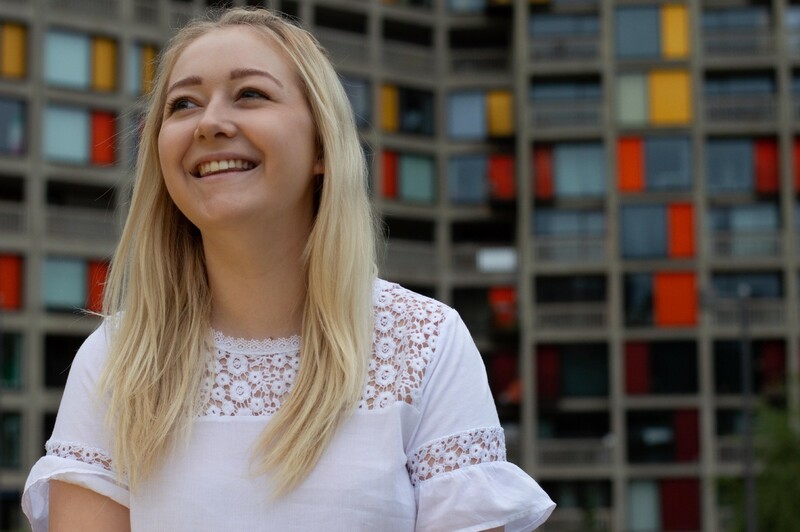 My quarterly reviews with Liz and my year long university assessment have both helped me to self assess regularly, identifying my achievements, problems and improvements. Back in January I completed an online Google Analytics course as I have taken particular interest in this area in between managing projects. 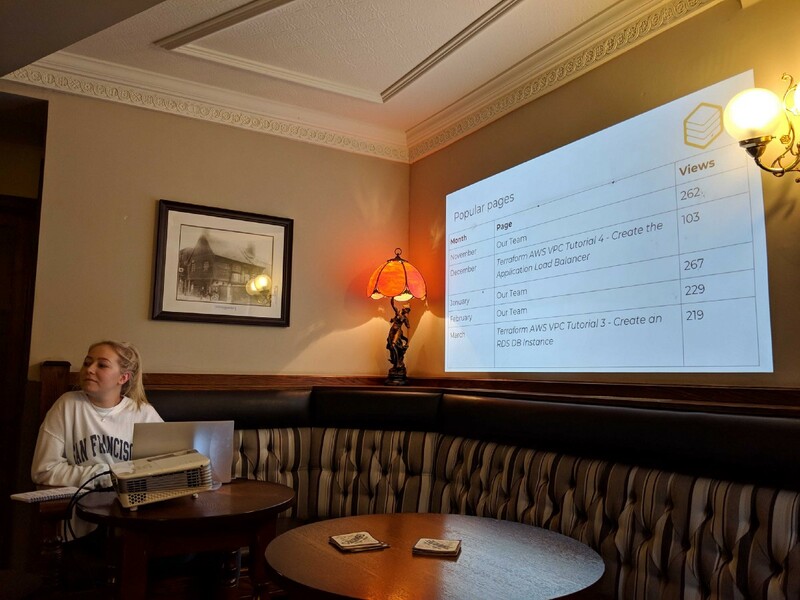 During any downtime, I have been looking at our website’s analytics in further detail and for our last month’s Show and Tell I gave a presentation to the rest of the team, providing a thorough report of our statistics, as I feel this is an area where we can definitely improve in. This will have hopefully identified the importance of these analytics as it will help us understand and track users’ behaviour, such as the pages they most engage with, measure their bounce rate and highlight the browsers they are using. By understanding this information in depth, we can use this to identify the areas we need to improve on as well as the areas we can continue providing to our users. Another area I feel we could improve on is our social media strategy. Again, during any downtime I am going to put some time into researching around this area and come up with an effective strategy that I can share with Hive before I return to university. In today’s working world where a third of us are online regularly, having an online presence is extremely important and valuable. Social media is an excellent marketing tool, which is cost effective and allows information to be sent out to thousands of users instantly. Creating a strategy that can help Hive increase their presence will hopefully result in us reaching more users, building a stronger brand and increasing our credibility. Although I have been involved in a variety of different projects I am yet to see a project I have managed by myself through to the very end. I am looking forward to wrapping up a project and holding a retrospective with the team, allowing us the time to reflect and think about any lessons learned that can be implemented in future projects. Receiving final client feedback will also be useful as it will help us evaluate the success of the completed project. I’m really looking forward my last remaining months at Hive, so far my year in industry has been incredibly valuable and I can’t thank Hive enough for everything they have done for me!